Cardiac arrhythmia simply means that the heart rhythm is irregular, either too fast or too slow. Arrhythmia is a serious condition that should be assessed by a doctor, but there are some wondeful natural remedies that may help. 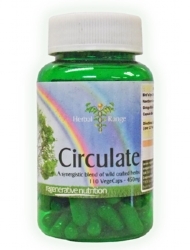 We particularly recommend Circulate Capsules - Wild crafted herbs to normalize the circulation, blood vessels and heart function. Mistletoe, hawthorn berries and tops, horse chestnut, ginger, ginkgo biloba and capsicum. Hawthorn in particular is a traditional heart tonic and modern research has confirmed its traditional use. 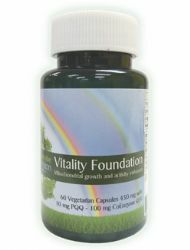 Zell Oxygen can justly be described as an essential supplement in any healing programme and contains CoQ10 which studies have shown to be useful in for treating/preventing cardiovascular disease (including congestive heart failure, ischemic/coronary heart disease, heart valve disease, angina, rheumatic heart disease and arrhythmia). 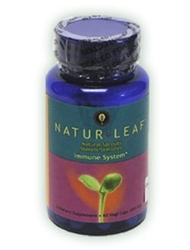 Ionic Minerals are an excellent way to ensure we receive the correct therapeutic amounts of essential trace minerals and elements - essential for all aspects of health including heart function. The supplements recommended for the treatment of Arrhythmia are listed below. Not all will necessarily be discussed in the article, as some may have been added after the article was posted. If a listed supplement is not mentioned within the article, or you wish to know more about any of the listed supplements, you can find out more information by clicking on that supplement below. You can also now add to your basket directly from this page.